Join us for our annual CLIMB (Christ Lives in Me) Retreat! 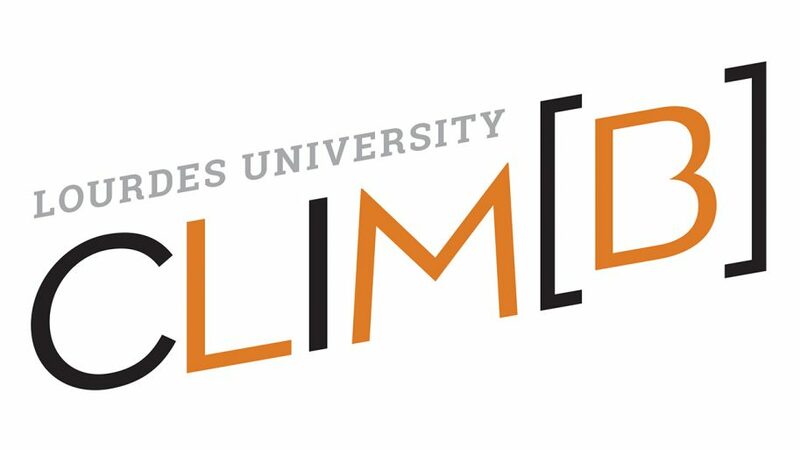 CLIM[B] is a Fall Break retreat for Lourdes University students looking to learn more about themselves and their relationship with God and make friends within a strong community. You will meet new people and grow in your faith and community! All are welcome! Well, we can’t tell you everything that happens on CLIM[B], but here’s the basics: Expect to put your busy life on hold for a weekend and spend time with an awesome group of Lourdes students. You will have the opportunity to get to know a little bit more about yourself, to spend some time in prayer and to have some quality conversations with amazing people.